If you combine your photography or video with some action in areas close to water, AGUA may be your best friend to carry a camera. It’s on Kickstarter now. 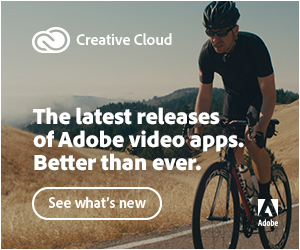 Creators and marketing people are funny. Who else would call WATER (AGUA in Portuguese) to a IPX3-standard storm-resistant camera-carrier? Well, that’s what miggo did. Let me present you their new project in Kickstarter. Already funded, as 814 backers have pledged $57,218 of a $20,000 goal in less than four hours, the campaign still has 28 days to go. The AGUA is, according to the creators, a revolutionary quick-draw storm-proof camera-carrier from “miggo”. 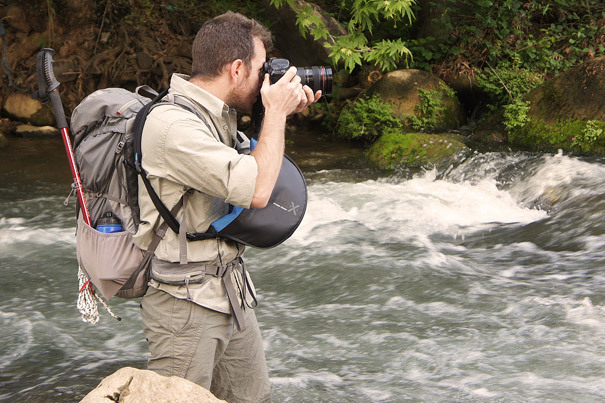 One year after the Kickstarter campaign of the first “miggo” – a camera strap that morphs into a protective case – the young company returns to Kickstarter to introduce “AGUA” – a new line of innovative camera carriers resistant to all weather conditions, designed for both professional photographers and serious amateurs. The AGUA (“Water” in Portuguese and Spanish) is an IPX3-standard storm-resistant camera-carrier. 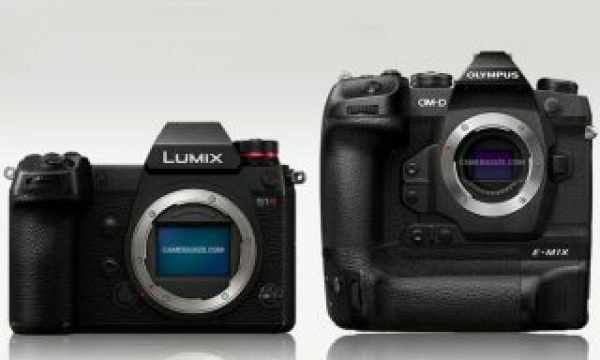 It is different from common water-resistant camera carriers because it allows intuitive quick-drawing of the camera. The AGUA’s special structure allows the photographer to comfortably carry the camera close to the body in any weather – rain, snow, sandstorm or even in a dense urban environment, without worrying about the fate of his expensive equipment – and draw it quickly and with ease at the right moment to capture a perfect shot. The AGUA provides excellent double-layer protection against water and impact, thanks to an outer layer of waterproof tarpaulin in matte black, and a padded inner layer of Neoprene and Lycra. 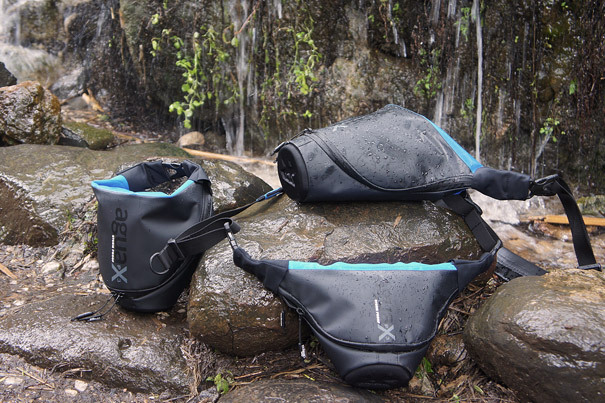 The AGUA is a storm-proof quick-draw holster for all day & all weather use. Still curious about the IPX3 rain-proof standard and what it means? Well it means the AGUA resists to water spraying up to 60 degrees vertically at 10 liters/min at a pressure of 80-100kN/m2 for 5 min. That’s a lot of water, in my opinion. So, the AGUA may be a camera carrier to use, even if not all the time, in those occasions when you need to get to a vantage point and to reach that point you need to go through an area with water. For outdoor photographers and videographers this may be many times, depending on the activities covered. Maybe you find you need the AGUA so many times that it becomes your action bag. 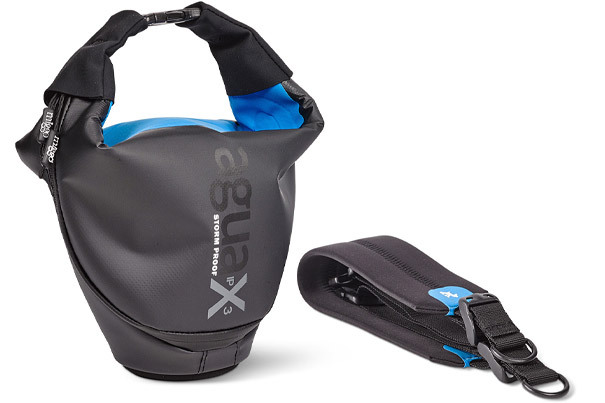 In that case, you can as well say goodbye to your old camera strap, as one of AGUA’s unique features is that the camera is attached to the bag with quick-release buckles, including a failsafe connection. This method eliminates the need for the original camera strap because the AGUA’s strap is used to carry the camera itself. Because when the photographer draws the camera it stays connected and protected from falling, if for any chance the camera slips out of his hands. The photographer can also choose to disconnect the camera completely. For carrying the AGUA offers a comfortable diagonal strap with the most convenient mechanism for quick and perfect fitting with one hand. 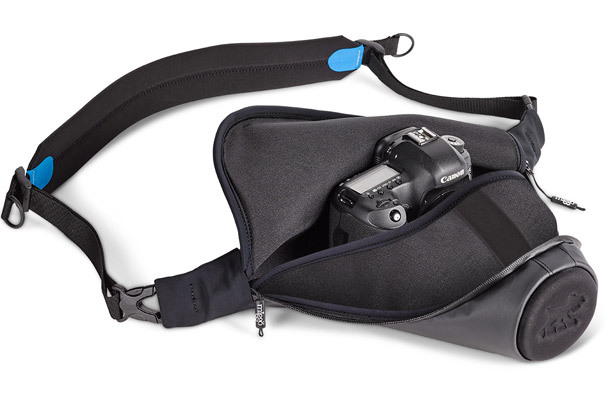 The strap has 2 buckles that allow quick attachment for disconnecting and reconnecting to the camera, thus turning into a high-quality camera strap. All is explained now. 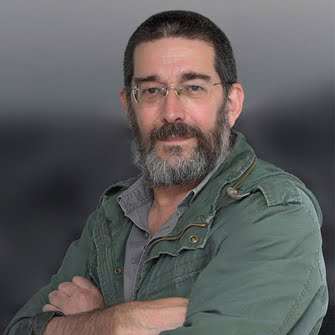 “At miggo we get up each morning with the aim of developing high quality products that will make the lives of professional and amateur photographers a lot easier and fun”, says Guy Sprukt, Marketing Director at miggo. 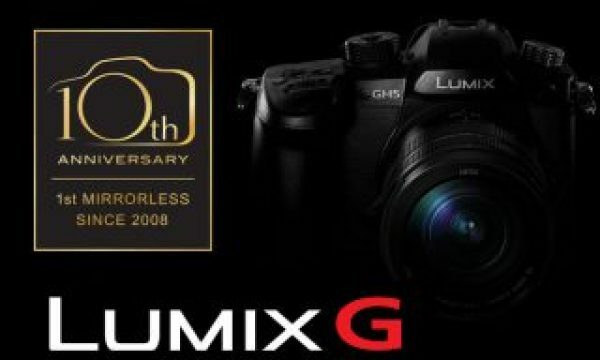 “During the research we conducted we found that many photographers seek a carrier that will enable them to carry their camera comfortably without hindrance, in any weather condition or hostile environment, without compromising on quick-draw ability. After a year of intensive development we are confident that AGUA will make lots of people happy, just because it’s not an all-weather camera bag, but a carrier for any situation”. 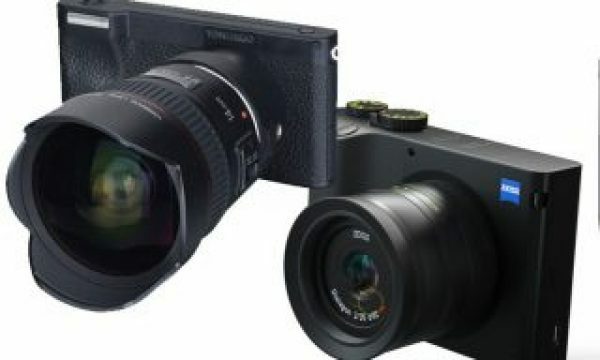 Launched at the beginning of June 2015, the AGUA Kickstarter offers the camera at prices that are significantly lower than their expected market price, so now’s a chance to pick up the next revolutionary miggo product for less. The company under the name miggo was recently established by a group of people who worked together at KATA Bags and Manfrotto. KATA is known for its countless camera and video bags, which were developed in-house and marketed worldwide. 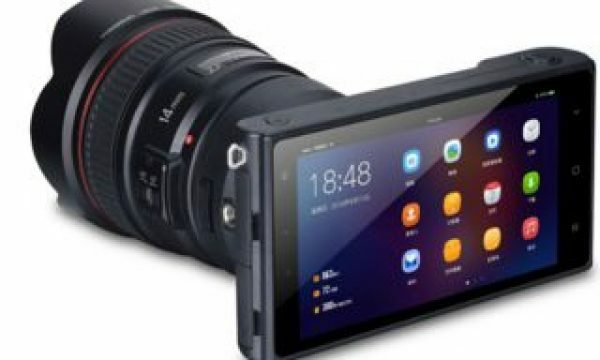 After KATA was bought by an English corporation, its managers decided to set up a new company called miggo, which aimed to introduce innovation into the area of cameras carriers, an area which has become somewhat dormant in recent years. 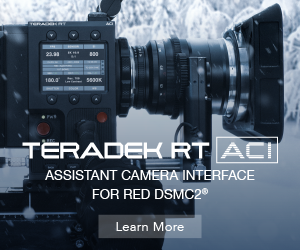 The company’s designers, who have many years of experience in developing advanced equipment for carrying and protecting cameras, rolled up their sleeves and reinvented themselves. About a year ago, miggo successfully launched its first round of products on Kickstarter – the strap&wrap and grip&wrap series – comfortable camera straps which morph into protective carriers. The Kickstarter campaign received great responses from users and professional magazines and websites alike. The patented miggo products are currently marketed in over 30 countries around the world, with enthusiastic reactions. Today the company is busy developing a number of new products both in photography and in the field of optics and binoculars for bird-watching and outdoor activities. Find more about the Kickstarter campaign foloowing the link.